With just six player remaining at the AUD$25,000 buy-in high roller event at the Aussie Millions, Nick Petrangelo raised to 40,000 from early position. It folded around to Brandon Adams in the big blind and he made the call. The flop came down Q 9 8 and both players checked. The turn was the 5 and Adams bet 65,000. Petrangelo called and the river was the 5 . This time Adams bet 160,000. Petrangelo then moved all in for 470,000 and Adams quickly called. 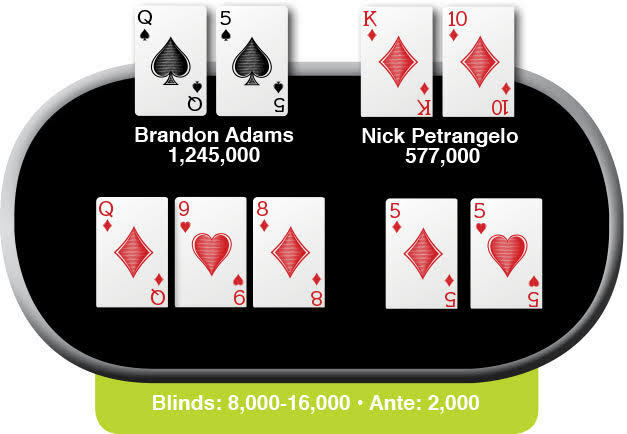 Petrangelo showed K 10 for a turned flush, but Adams held Q 5 for a full house. Considering he was the preflop aggressor, are you surprised that Petrangelo didn’t make a continuation bet on the flop? Why didn’t he raise the turn, after making his flush? How standard was his all-in raise on the river? Is there any argument to just calling? What do you think of Adams’ big blind defense? What about his bet sizing on the turn and river? How does the action change if Adams doesn’t fill up? In what turned out to be a slow-developing cooler, Petrangelo went out in sixth place, earning AUD$143,640. 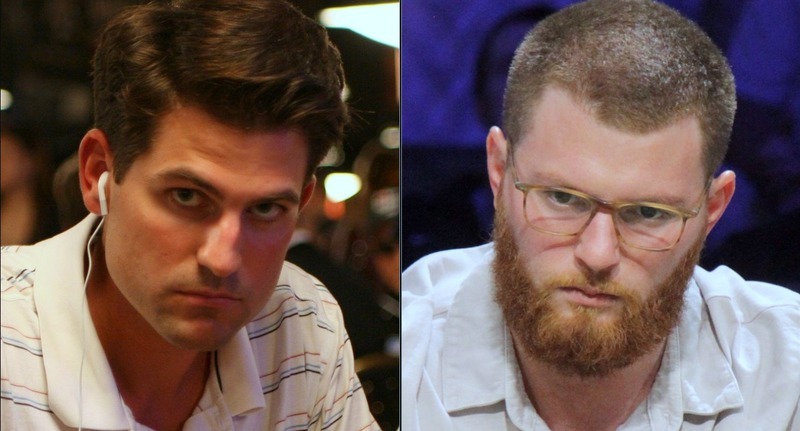 The pot was enough to vault Adams into second place overall, which is where he finished, taking home AUD$590,520. 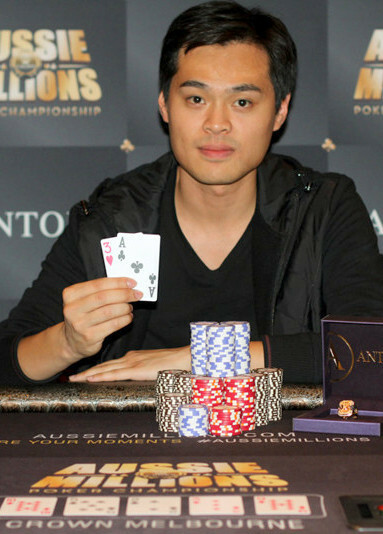 The eventual winner was James Chen, a poker player from Taiwan who topped a field of 133 to take home the AUD$861,840 first-place prize. Chen, who is now Taiwan’s second biggest money winner, has two previous wins in the Macau Poker Cup High Roller in 2015 and 2016. *Winner photo courtesy of Crown Casino/Aussie Millions.